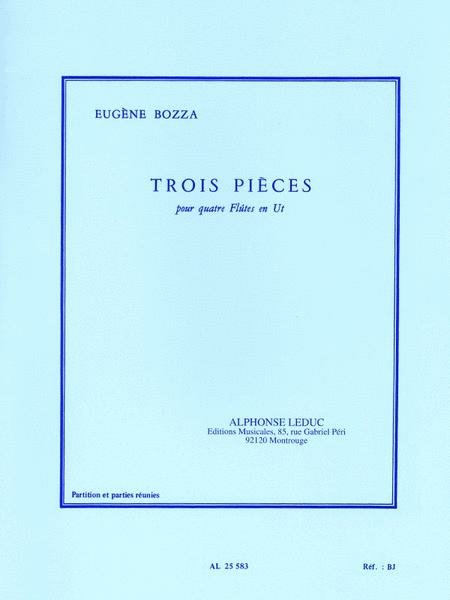 “ Three pieces for Four Flutes by Eugène Bozza (1905-1991), was written for a Flute Quartet in 1979. This melodic work is really popular among flautists. 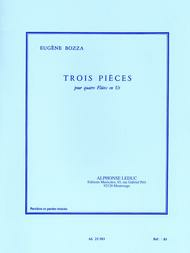 Eugène Bozza won different prizes at the Conservatoire de Paris such as the First Prizes for the Violin, conducting and composition, as well as the Grand Prix de Rome. He composed several operas, chamber works and ballets among others.”.